JVC is currently exhibiting at WFX, and will exhibit at AVX and NAB Show New York later this month. Caption: JVC is currently exhibiting at WFX, and will exhibit at AVX and NAB Show New York later this month. 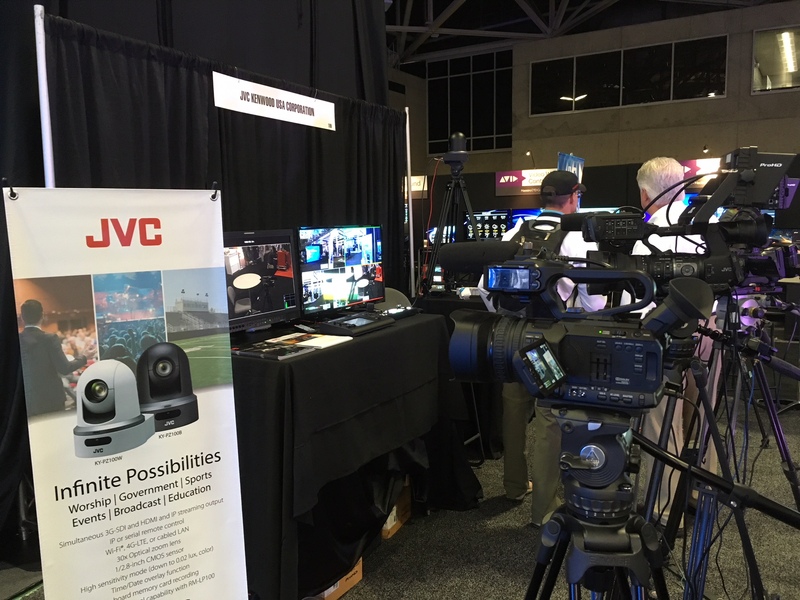 WAYNE, NJ (Oct. 11, 2017) – JVC Professional Products Company is demonstrating a low-cost studio solution today and Thursday at WFX Conference and Expo in Dallas, and will bring the demo to Rocky Mountain AV Expo (AVX) in Denver Oct. 25-26. The system pairs JVC’s KY-PZ100 robotic PTZ production cameras and RM-LP100 remote camera controller with Roland’s V-1SDI 3G-SDI video switcher. Handheld or full-sized cameras with studio configurations from the JVC ProHD and 4KCAM product lines can also be used with the HD system, depending on the needs of the production. 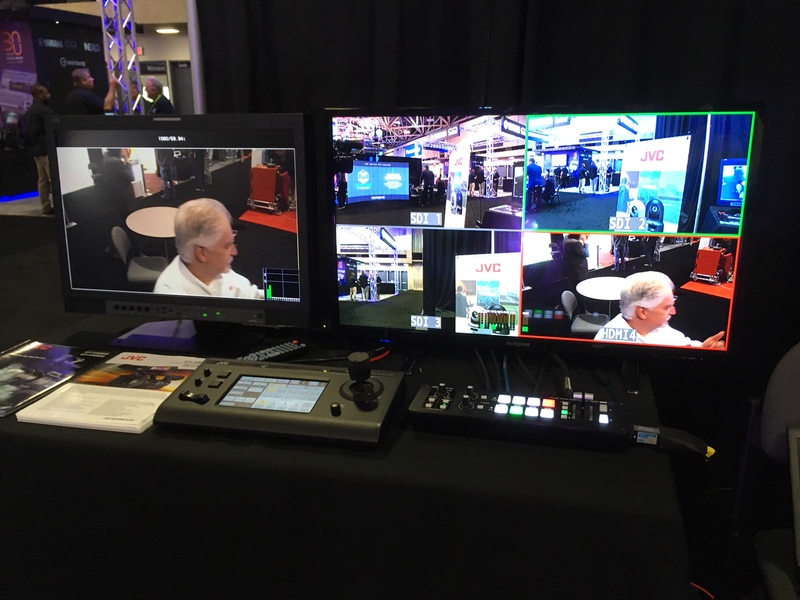 JVC will have a larger presence at NAB Show New York, which runs Oct. 18-19 at the Javits Convention Center in New York City. The company will showcase its extensive camera and monitor lines, as well as its growing ProHD Bridge product family of wireless bonded cellular uplinks for broadcasters.